If you’re a sole-proprietor carrying on a business in Québec that’s registered in the enterprise register, you’ll need to submit an annual updating declaration (even if there are no changes to make to your information) and pay an annual registration fee. Fortunately, you can submit your declaration and pay your annual fee at the same time you file your tax return. To determine your annual registration fee for the year, visit the Fees and Methods of Payment section of the Registraire des entreprises website. You won’t need to pay this fee for the first year you register or the year after that. Note: Don’t forget to check the enterprise register first to see if the information they have on file for you is correct. If it is, select Yes in response to the question Is your information in the enterprise register correct? 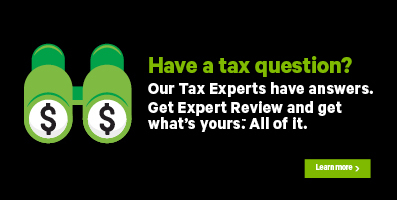 on the Annual registration fee for the Québec enterprise register page in H&R Block’s tax software. If not, select No and use the Registraire des entreprises website to file your annual updating declaration. What is an enterprise register? The enterprise register at Registraire des entreprises contains information regarding individuals and enterprises operating in Québec. Once your business is registered in the enterprise register, the Registraire des entreprises assigns your business a 10-digit Québec enterprise number (NEQ). The NEQ makes it easy for your business to identify itself when dealing with government departments and agencies. Select the province or territory you worked in from the dropdown menu. Under the BUSINESS AND SELF-EMPLOYMENT heading, select the checkbox labelled Registration for the Québec enterprise register then click Continue. When you arrive at the page for the Registration for the Québec enterprise register, enter your information into the tax software.